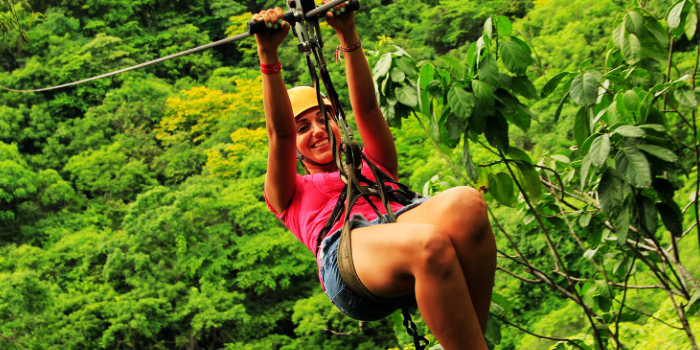 On our Los Veranos Canopy adventure, you can witness the unsurpassed natural beauty surrounding the vacation paradise of Puerto Vallarta from the unique vantage point while riding a zip-line. 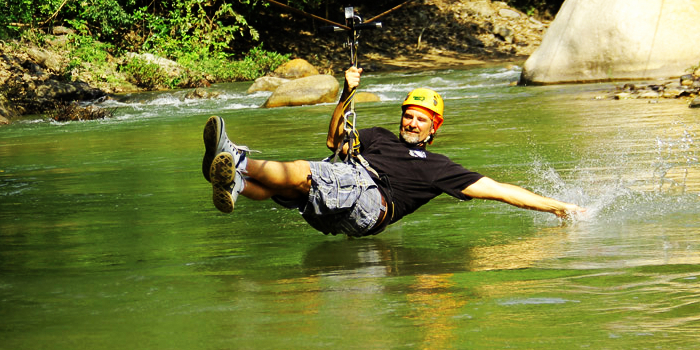 You will begin your tour by travelling to Las Juntas de Los Veranos with our affable, English-fluent guides. Along the way, you will see breathtaking vistas of the gorgeous coastline of Banderas Bay, including sprawling vacation estates and Los Arcos, the iconic natural rock formation. 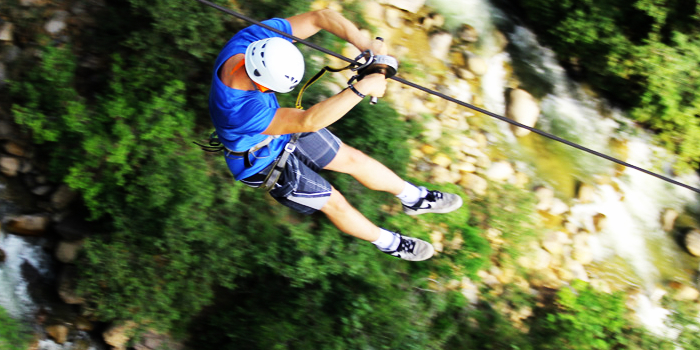 Once you arrive at Los Veranos, you can soar through the lush tropical canopy on our fourteen different zip cables; each run is set up to give riders a an exhilarating yet entirely safe trip high above the forest floor. Your adrenaline will be pumping as each progressive cable takes you higher and each ride moves more rapidly until you are reaching speeds over thirty miles an hour as you zoom above an aw-inspiring ravine with tumbling rapids. 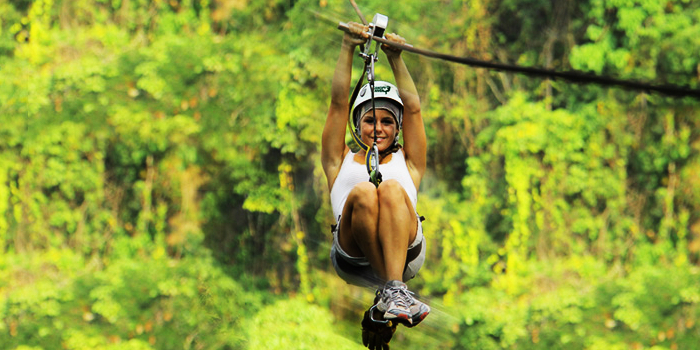 Zip-lining is the focal point of this tour, but hiking through the wilderness to each cable is an adventure unto itself; you will walk by an array of native flora and fauna including iguanas, parakeets, tropical songbirds, bamboo, palm trees, vanilla vines, philodendron, orchids, strangler figs, agave plants, rubber trees, tree-bound termite nests, bromeliads, and orchids; two hundred varieties of orchids and bromeliads grow in this region. 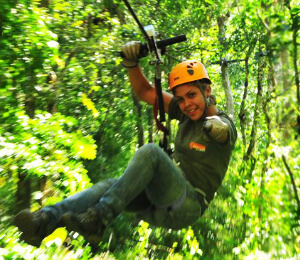 You will be zooming through the canopies of the tallest trees in the area, the campono. The tour also provides ice-cold beverages to quench your thirst. You can also relax with some locally produced tequila cocktails after your ride through the trees. 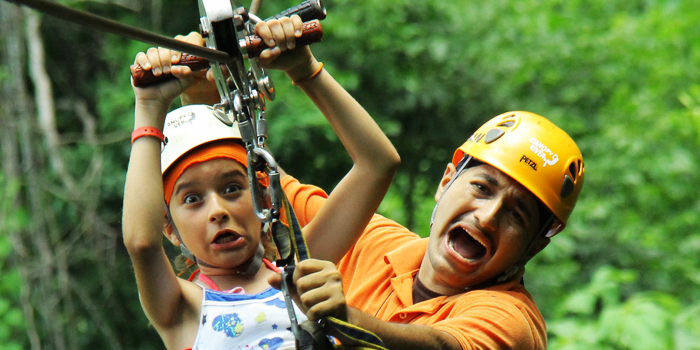 If you would like a keepsake of your jungle zip-line adventure, we can provide photos and DVDs for an additional fee.